Do you like to try out new looks with your makeup and then upload the results to Instagram, Facebook or share them with your friends in other ways? While getting the makeup just right is undoubtedly going to be your focus, you should also consider editing some of the photos so that issues like bad lighting and unwanted elements don’t end up ruining your shots. Although photo editing may be a bit outside of your comfort zone, all that you really need is Movavi Photo Editor. As you can guess by its name it is a picture editing software, but what makes it really unique is the fact that it provides powerful features while designing them to be easy-to-use and user-friendly. 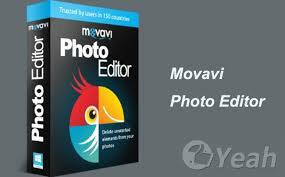 Due to this approach, you will be able to edit your makeup photos quickly and effectively using Movavi Photo Editor. 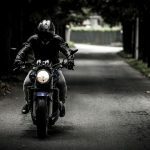 It doesn’t require any prior experience or even an inkling of knowledge about photo editing to do so, and in some cases you’ll be able to rely on the automatic features to edit your photos with a single click. Improving the overall quality of your photos manually or automatically and fixing common problems such as blurry or pixelated images. Applying stylish and artistic filters such as oil painting, sepia, acid, and so on to alter the appearance of the photo. Inserting customizable text to create unique-looking captions, watermarks and titles. Transforming the frame and orientation of the photo by flipping, rotating, resizing, cropping or leveling it. Removing any elements from the photo that may be in the way of the shot or detracting from it in other ways. Replacing the entire background of your photo with something new. As you can see, you’ll have no shortage of choices and the features that Movavi Photo Editor will put at your disposal are as powerful as they are comprehensive. On your part all you need to do to edit your makeup photos is to decide what sort of edits would make them look better – and then use the tools that are available to do just that. With a bit of experimentation you’ll be surprised how much you can get done using Movavi Photo Editor. Frankly the sky is the limit, and your makeup photos should look perfect by the time you’re done.